I had the opportunity to interview Jimmy Hester, the co-founder of True Love Waits. He pointed to some interesting trends in sexual activity among teenagers and gave some helpful advice for how youth workers can talk with kids about purity. FREE TEACHING PLANS: Also check out the True Love Waits 3.0: Path to Purity, which includes 6 purity teaching plans, PowerPoint, videos, and more. Tim: Can you briefly explain to us what TLW is and what it isn’t? Tim: I remember hearing a lot about True Love Waits back when I was in high school. What’s been going on with TLW since then? Jimmy: Well Tim, I’m not sure when you were in high school, but I can say that True Love Waits has been active for the past 18 years from the local level to the international level. Each year, especially around Valentine’s Day, we hear from student groups in churches and schools across our country who ask questions and share what they are doing to challenge students to make commitments and live them out in their day-to-day lives. Everything from local community rallies and displays of cards to church services where students stand with parents and/or significant adults to express their beliefs through their commitments. In other parts of the world, especially in AIDS-torn Africa, students are making commitments that are literally saving generations in some communities. Through True Love Waits International, we recently recorded one million documented commitments from African students after three years of concentrated work in eight countries, and we know that number is only a percentage of total commitments. Tim: A common criticism of TLW is that signing a abstinence card has little long-term impact. How do you respond to that? Jimmy: Since we’ve been involved in the greater sexual abstinence movement, we have observed several trends that indicate on a high level that students are adopting and practicing sexual abstinence until marriage. Since 1993, trends in sexual activity among youth, teen pregnancies, and sexually transmitted diseases with students have declined every year except two. Previous to that, the trends had been going up every year for the previous 20 years. But beyond the numbers, we experience the blessing of hearing personal stories behind the numbers. Young adults share stories of weddings that include couples exchanging TLW cards or rings as a part of the ceremony to celebrate giving each other the gift of a sexually pure life. Or testimonies of students standing before their peers saying, “I’ve been sexually active but now understand God’s plan for my life and commit to remaining sexually abstinent from this day forward until marriage.” As challenging as it is in our culture to maintain sexual purity, students are demonstrating it can be done when the reason for doing it is to accept God’s plan for sexual behavior. Tim: What could TLW look like in our youth groups? Jimmy: I’m glad you asked that question. One of the major challenges we face with True Love Waits is keeping it fresh so that youth leaders will not use it once with their students and say, “True Love Waits? Yeah, we did that two years ago.” Over the years we have asked students and their leaders what should be the emphasis of TLW for the immediate future. While the message remains the same, it needs a fresh look and focus. We recently did that and the consensus was that True Love Waits is perceived as an event. That may be an element in the campaign but when it is effective, True Love Waits is a process of developing purity in the lives of students. For it to take on that image in a youth group, the student minister would need to see TLW in a different light. The process would include education (why is abstinence important and what does the Bible say about it), commitment (pledge to remain abstinent until marriage), and follow-up (encouraging and supporting students in their commitment). Included in the process would be the student minister partnering with parents–the primary spiritual developers of their students–in carrying out TLW. This process and partnership can take on many forms. We have developed one approach that we call TLW 3.0: A Path of Purity. Currently we have information on the TLW website and we have produced a family guide with small group teaching plans for the student minister to launch a partnership with parents. Tim: How can we best talk about abstinence in our youth groups and how can TLW help us? Jimmy: I’m often asked this by student ministers and my response is do it all the time. Now I’m not saying that every Bible study or worship time or youth event needs to carry a TLW theme. What I am saying is to be sensitive to opportunities when your students set the agenda. It may come in a casual remark in a conversation. It may surface in a situation that takes place at school. Wherever it comes from, take advantage of it because it may never come your way again. One way TLW can help student ministers with this is through TLW 3.0: A Path of Purity. We have identified 18 life markers that occur from birth into young adulthood that provide natural opportunities to have conversations about sexual issues that lead to developing purity in a student’s life. 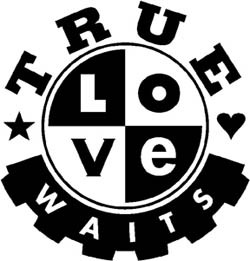 QUESTION: Have you used True Love Waits in your youth group? What’s your experience been with it?